Portage Family Skate Park Visits John Muir Elementary School. The Portage Family Skate park President Kyle Little & Vice President Todd Miller came to John Muir Elementary School 2600 Woodcrest Drive to visit with the youth of Portage today. Project President and Vice President were given the opportunity to hold an assembly to speak about skateboarding safety and the project by Principal Jason Meyer. With a little under 400 youth today at the assembly and about a dozen facility members that included the presence of the police chief of Portage, Wisconsin the PFSP were given a standing ovation right from the start. Youth and adults alike commended the project board for the hard work and determination and never give up attitude to see the project to the end. Many of the youth excited to say the least participated in trying on safety equipment and even did a little bit of skating themselves. Many of the students and facility members to our surprise are familiar with the project. Kyle Little went over some of the does and don’ts of fitting safety gear and how to go about purchasing and asking the right questions when in a board shop. Todd Miller fitted the youth volunteers with helmets and elbow and knee pads then asked the youth if they had them on properly. We presented a video for the youth to watch that had them standing and applauding at the end with chanting of PFSP. 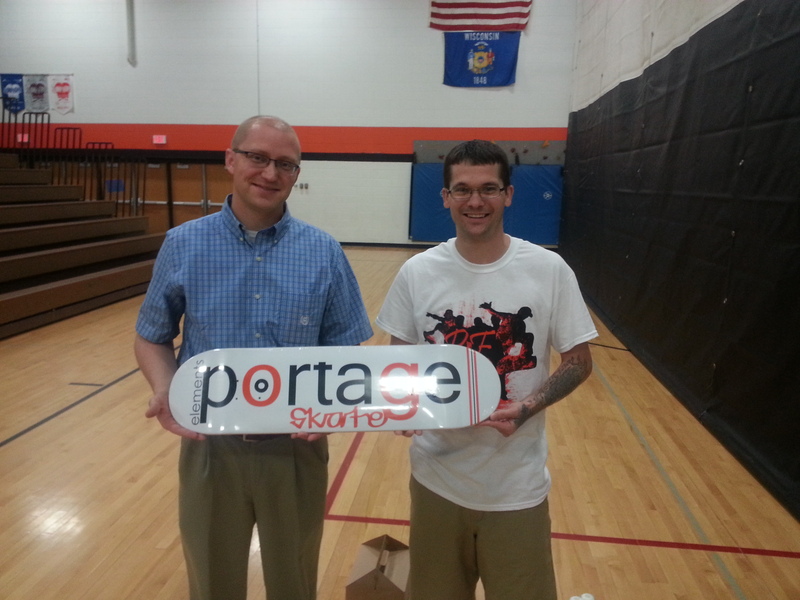 We also presented Principal Jason Meyer and the school with a one of a kind Portage Family Skate Park/Elements skateboard deck to be showcased in the school. We back Orange and Black and are proud of the city we live in Portage, Wisconsin. 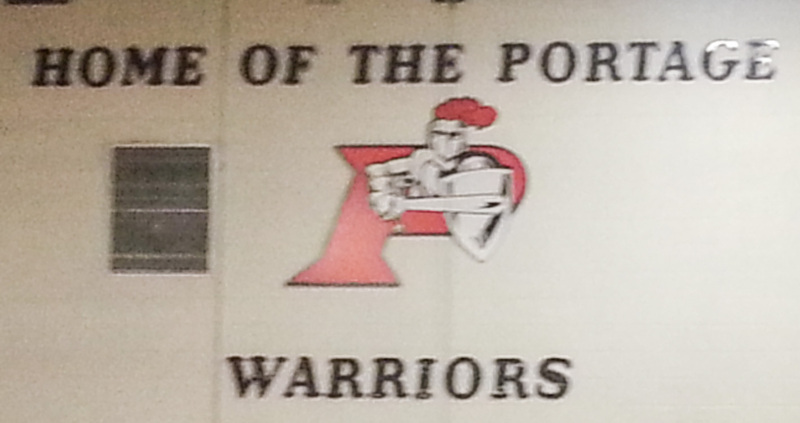 Go Warriors!!! Thank you everyone including the Portage Community School District also the youth of John Muir and Facility members with a special thanks to Jason Meyer. Thank you to Portage Pizza Hut who provided the youth with 400 personal pan pizza certificates on #PFSP coloring pages to be turned in once colored to Portage Pizza Hut. PFSP Deck to be displayed.